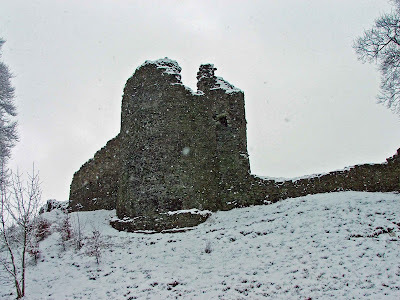 Some new and old photos of Kendal Castle. The remains of the Great Hall. 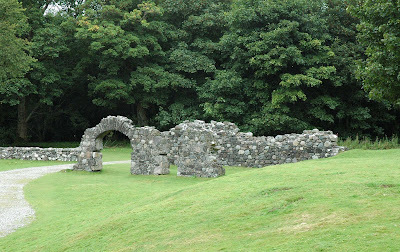 Remains of the gatehouse and the Great Hall. The Great Hall looking across the courtyard. The North West tower from inside the moat. The Great Hall from the curtain wall. The moat and the remains of a drum tower. Remains of a round tower, the South postern and the minimal remains of the original keep. The castle walls as they appear from the Parr street approach. 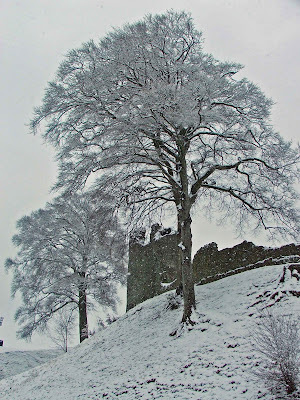 The North West tower in the snow. North West tower from the moat. 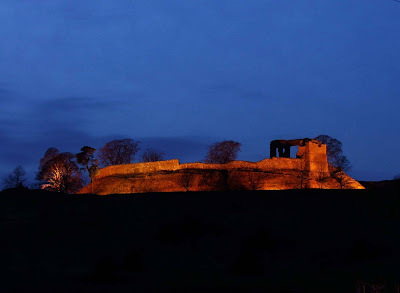 Kendal Castle from Park Side Road at night. 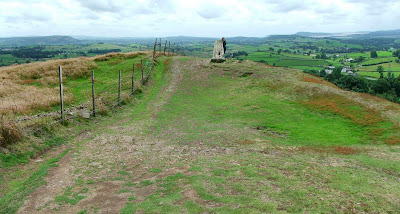 As well as the forts mentioned earlier on in this blog (Galava at Ambleside, Mediobogdum at Harknott and Low Borrowbridge near Tebay) there are other Roman sites in the South of Cumbria, that sometimes get overlooked, as well as a lesser fort recently visited in North Yorkshire. The reason behind this, is that they are rather 'overshadowed' by the structures that are built over them, therefore dominating the landscape in which they lie. 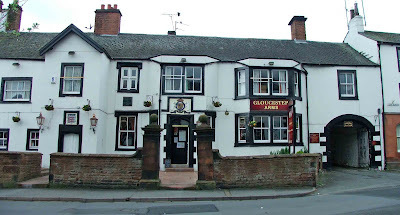 The three that will be mentioned here, are at Brough and Brougham in Cumbria, and Elslack in North Yorkshire. 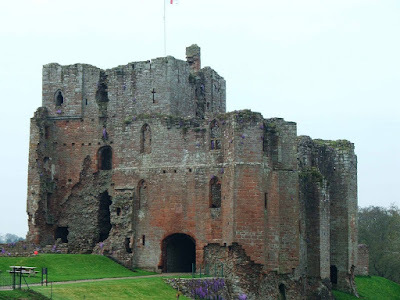 The forts at Brough and Brougham lay beneath large medieval castles, and the Roman remains have been incorporated into the defences of these structures. The fort at Elslack lays alongside the now dis-used railway. The Roman name for the fort that lays beneath the castle, was Verteris. 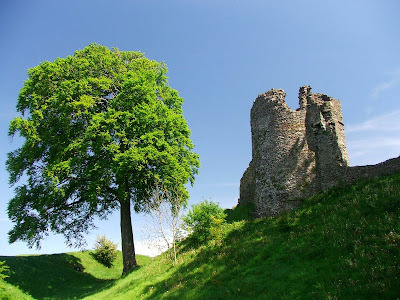 The castle and the fort lay just to the South of the ancient village of Brough, and to the West of the A685. Indeed, excellent views can be had of the castle as you descend into Brough from the A66 as you travel West. 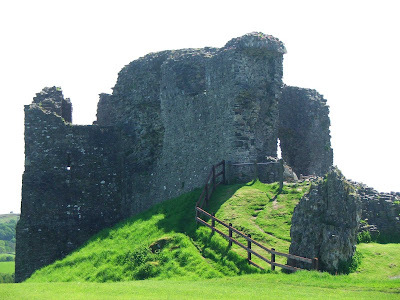 The medieval castle lays along the North side of the Roman fort, occupying around a third of the 3 acre site. 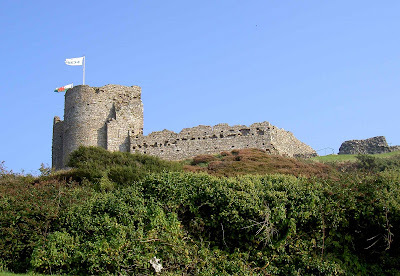 The fort would most likely have been built early in the 2nd century, and there is archaeological evidence to suggest that it was occupied well into the 4th and 5th centuries. In the 3rd century, the fort was manned by the VII Cohort of Thracians. In the 4th and 5th centuries, it was manned by the Numerus Directorum, an irregular unit of auxiliary soldiers consisting of around 300 mounted and foot soldiers. To the South East of the fort, and outside of the protective earthworks, a vicus (civilian settlement) has been found, indicating that the fort attracted local interest both in trade and people seeking protection from the soldiers stationed there. The fort is thought to have been an important administrative centre. 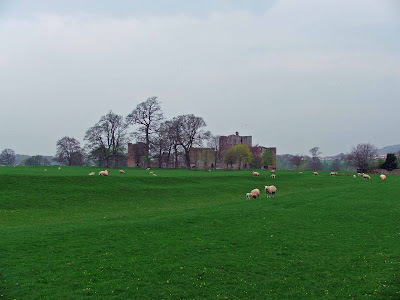 The Roman fort at Brough is not particularly visible from the ground. The public footpath that leads visitors in from the North, hides the fact that the majority of the ancient earthworks are beyond the fence (to your left as you walk to the gatehouse) It's only when you see aerial shots of the castle, that the full extent of the Roman fort can be appreciated. Some of the best aerial photos can be seen here. These photos by Simon Ledingham illustrate the size of the fort, and the amount of earthworks that still survive. 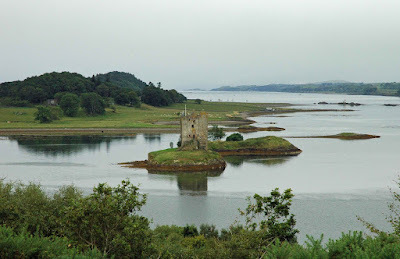 The Roman name for the fort that lays beneath the castle at Brougham was Brocavvm. 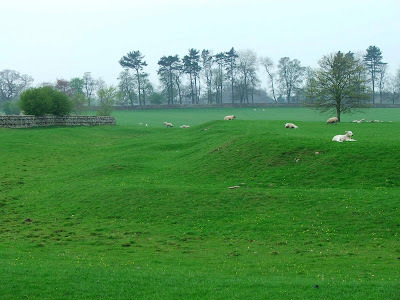 The Roman complex here consists of a major fort, a civilian settlement and a marching camp (situated about 400 yards North East of the fort and the castle) Both castle and fort sit next to the B6262, and just off the A66. 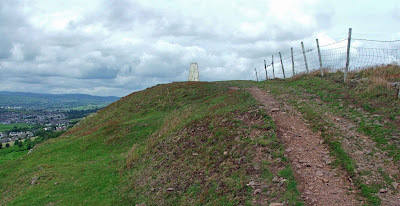 The best views of the fort are to be had from the B road, as it almost exactly follows the course of the surviving Roman earthworks at the South side of the site. The Eight Legion were known to have been stationed at the fort at Brougham, probably as early as 43AD when the Roman Emperor Claudius led his troops in the invasion of Britain. A great Roman cemetery has also been found near the site. 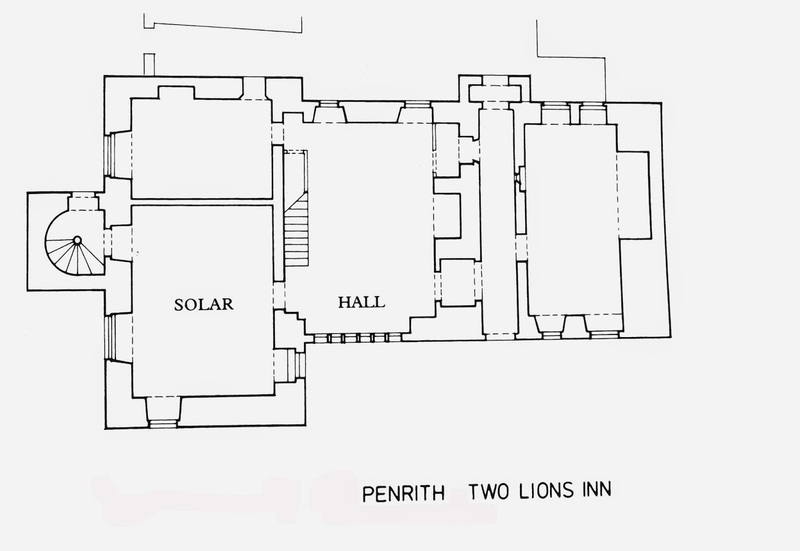 The cemetery was excavated before the building of the A66 which now completely covers the site. 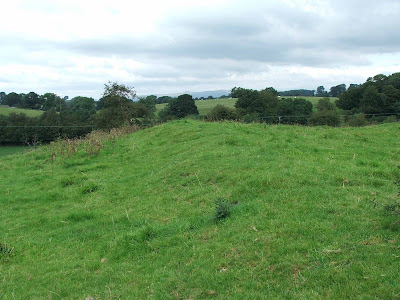 On the whole, the Roman fort at Brougham has not been excavated to any great degree, so the historical and archaeological record of this large site are scarce. 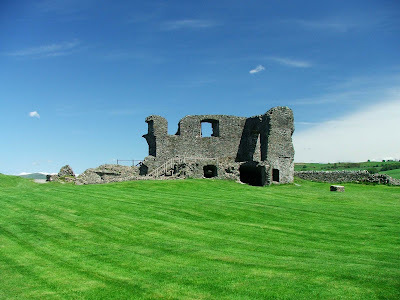 Good views of the site can be seen from the roadside and also from walking around the castle. The earthworks are very well preserved all the way round with some of the ditches and embankments surviving to a height of around 6 feet in places!! 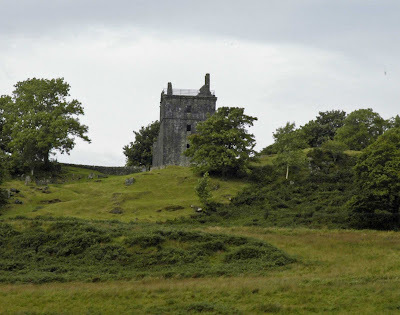 Again, the Visit Cumbria web site has some excellent aerial views of the castle and the fort. 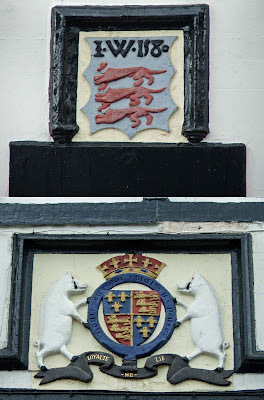 The whole site is open to the public, and managed by English Heritage. 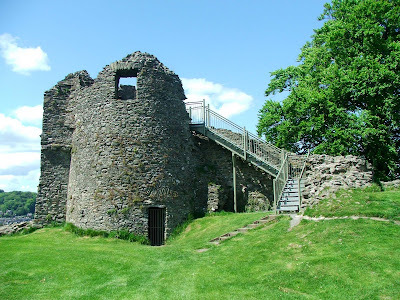 The access is such, that both the interior and the exterior of the castle can be walked....which obviously incorporates much of the Roman fort. The Roman name for this fort was Olenacvm. 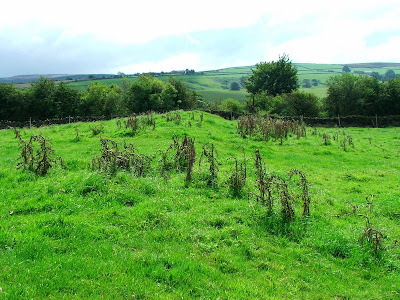 The remains lay just off the A56 and about 3 miles South West of Skipton. The fort lays just yards away from the now disused railway....and it's a wonder that anything of this site still survives. Indeed, walking along the now trackless railway, if you didn't know that there was a Roman fort there, it would go un-noticed. Check out the satellite photo to see how the railway nearly obliterated the fort's remains. (Multi map) Zoom in and select aerial photo to see the fort. There appear to be two forts overlaying each other. The first was a Flavian Infantry fort, measuring around 345 feet on each side, and occupying nearly 3 acres. The whole site was surrounded by a clay based rampart with stone foundations, somewhere between 16 and 18 feet wide. The fort was protected by a double ditch, with more banks and more ditches providing more defensive obstacles to any would-be attackers. Pottery has been recovered from this stage of the fort's history, dating from the 1st century. 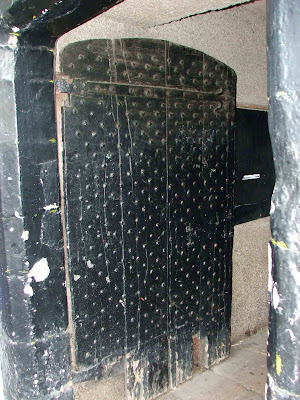 It's estimated that the first fort would have been able to house around 500 soldiers. The second fort replaced the first totally. The clay and stone ramparts were levelled, and a larger fort built over the remains. This was probably done sometime during the 2nd century. The new fort was rectangular and measured around 603 by 406 feet, and occupied around 5 and a half acres. The external ramparts were once again constructed of clay, but this time faced with stone, and about 8 feet wide. It's thought that the larger fort was built to enable more horses to be based here. Various excavations over time have failed to find the remains of any buildings within the confines of the fort, probably indicating that any that were here, were constructed of timber. The fort is easily accessible just off the walk that follows not only the route of the dis-used railway, but a Roman road. You can park at the side of the road just down from the pub, and then follow the public footpath onto the railway. Make sure you turn left, and look for the gate on your right. There is a sign here that indicates the presence of the fort. You'll need to walk along side the railway (but in the field) for about 200 yards before you get to where the fort is. Admittedly, it's fairly difficult to see what's what....the site is nothing like Ambleside or Hardknott. Some of the ramparts can be seen very faintly in the field, and slight humps and bumps show where other pieces of the ramparts are. Not much to photograph I'm afraid. This sad and sorry photo is the only one I have of one of the remaining portions of the wall. 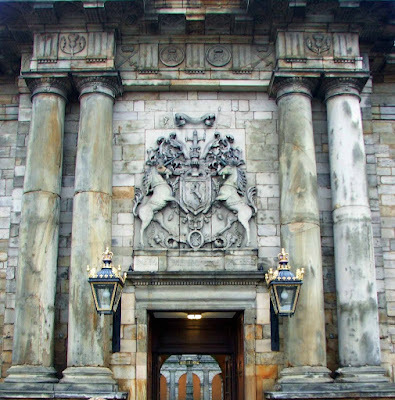 This particular stretch once enclosed the whole of Greyfriars Kirk. Now it simply cuts the graveyard in half. As a consequence, one half of the graveyard is within the old city limits....the other is outside. From the middle of the 17th century the wall was dismantled piece by piece, as it was preventing the city from expanding to the South. 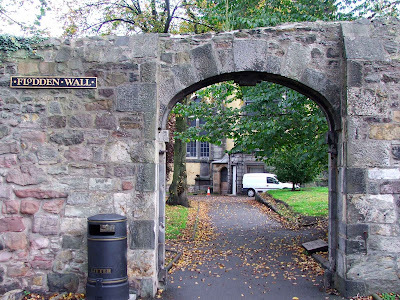 In July 2008, whilst building work was being undertaken at the King's Stables end of the Grassmarket, a small portion of the wall was unearthed. This small patch of the wall, now buried beneath the road foundations, has been marked with brass plates so that tourists can see where the wall was. 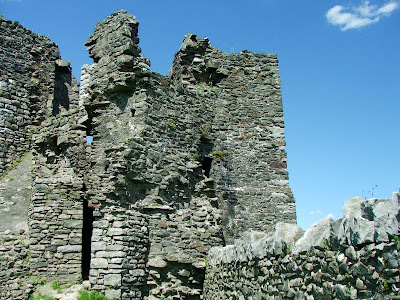 The remains of Carnasserie Castle lay to the West of the A816, about a mile and a half North of Kilmartin, and about six miles South West of Ford. 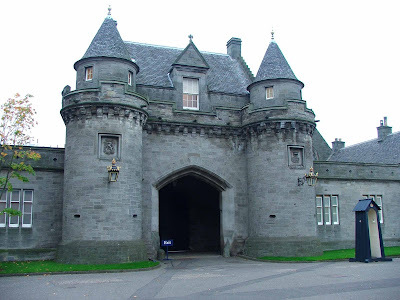 Built between 1565 and 1572, the castle is a combination of Hall and Tower House, built by John Carswell, Bishop of the Isles, with some remodelling done during the 17th century. The remains consist of the five storey tower house, three storey hall and a four storey stair tower. 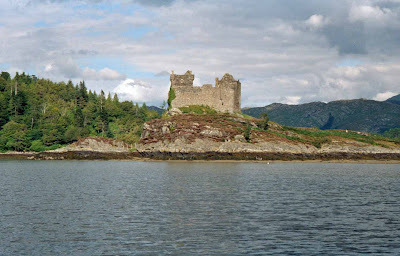 The remains of Castle Tioram (pronounced Cheerum) lay to the South East of the island of Eileen Shona, on a small tidal island. 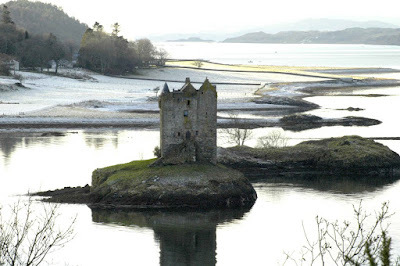 From this point, the castle's inhabitants would have been able to control sea borne traffic through the safe waters of Loch Moidart. 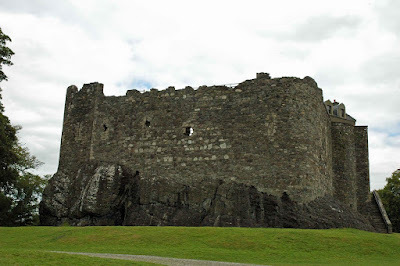 The castle was probably built in the early part of the 14th century and was the home of the MacDonalds. 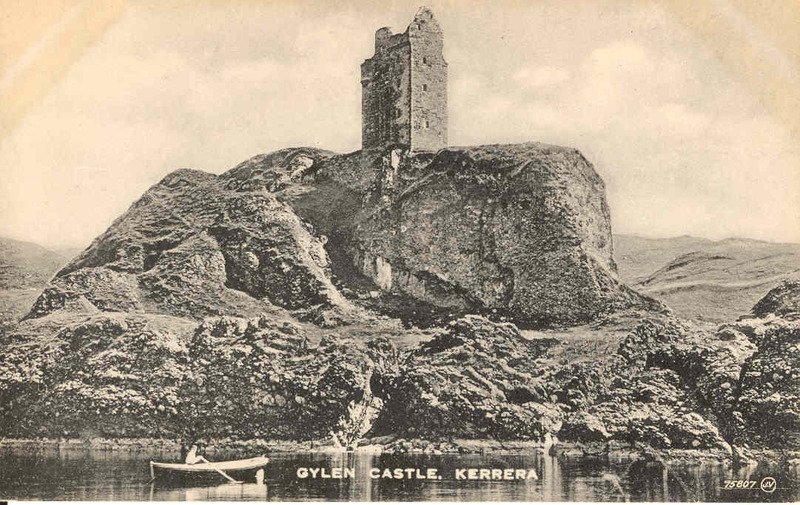 There is documentary evidence to suggest that there was a fortified building of some sort on the island some time before this. This early 13th century castle would have consisted of a simple curtain wall, within which would have been a collection of timber buildings. The walls have been built on the bedrock without any foundations! 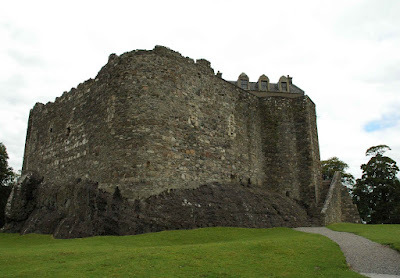 Sometime during the 14th century, the curtain wall's height was increased, and a tower house was added, built in stone against the east part of the curtain wall. 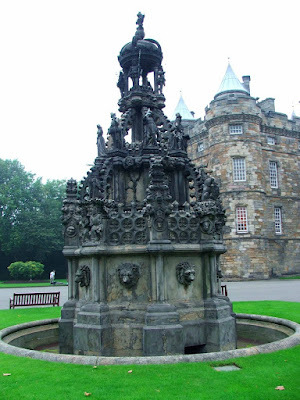 In 1715, during the Jacobite rising, the castle was set alight by the Scots, so that it wouldn't fall into the hands of the Hanoverian forces. 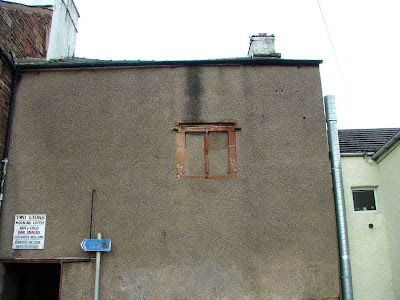 Since its partial destruction it has been uninhabited. Although the castle is closed to the public, the island can be accessed and the external walls easily seen when walking around the island.